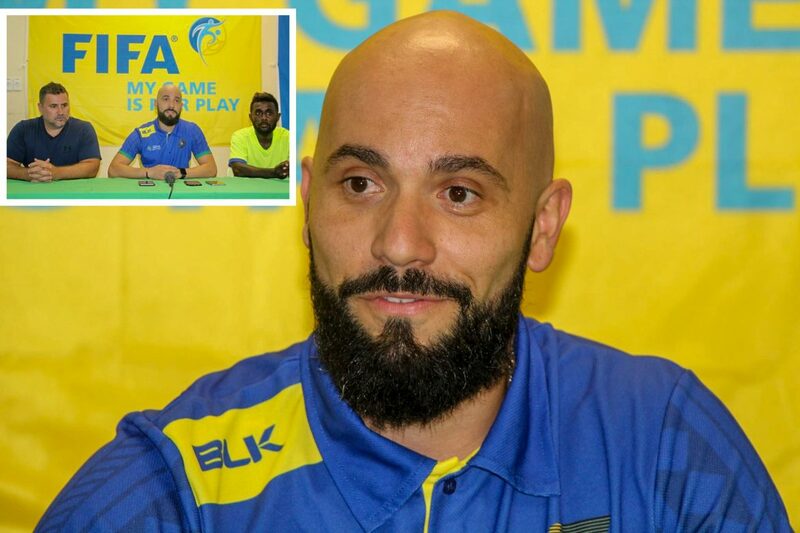 Newly appointed Solomon Islands national futsal coach Vinicius De Carvalho Leite has set his ambitions high upon arrival in the country today along with compatriot Argolo Alexandre. The Brazilian duo spoke to the local press hours after touchdown at the Honiara International airport. Knowing very well the players and the expectation on the national side, Vinicius said they have a lot of work to do with the team. “It is going to be a big task ahead of both of us and the players as well, we are a group,” the Brazilian-Australian based said. Known as the Kurukuru, Solomon Islands national futsal side has qualified to the last three FIFA Futsal World Cup as Oceania champions. Thus, Vinicius has stated his ambition is to defend the Oceania title and build on past achievements. “My ambition is to put my expectations as high as possible. This is a winning team with a winning culture but you’re only as good as the next game or next tournament. “So what they’ve done in the past is in the past, they achieved some great results but now we need to move forward,” he explained. The futsal boss stressed this year’s Oceania qualifiers will be very competitive as rival countries are putting so much effort on their own preparation. “The other teams are preparing hard, they are strengthening their squads and they bring in new coaches so they are evolving. “So we have to do the same, we can’t rely on what we have achieved in the past, we need to keep looking forward. Vinicius added that Solomon Islands need to go beyond the group stage if they make it to the World Cup this time around. “We need to start thinking about getting out of the group stage at the World Cup not just qualifying to get there. “I think to get there is a dream we can reach not that easily but reachable. “Our goal now is to get out of the group stage. These guys deserved it because they have been working hard for the past 12 years and I think the time has come,” the optimistic coach stressed. Kurukuru inspirational captain and leader Elliot Ragomo expressed his happiness on Vinicius appointed to be the head coach of the national side. “Thank you Vini and Argolo you have no idea for you guys to come to the Solomons,” the skipper said. “For me I believe very strongly on what Vini can bring to the team. “I think it’s the right time for Vini to come and take us Kurukuru to the next level. We the players are looking forward to be working with him and we know what is expected of us. “The only thing the boys have in mind is we want to do well. We will do our best to follow your lead and we have worked with you a bit in the past and we want to go to the next level. Ragomo stated that Kurukuru is a proud team and they want to call on the public to support the team in any way because they are representing every single Solomon Islander. Meanwhile, the new coach will hit the ground running with his first session tomorrow with the national team.